Price from 15.900 ISK PER PERSON. Join us on a seal watching tour at Rauðasandur seal colony. Rauðasandur, close to Látrabjarg cliffs, takes its name (Red Sand) from the colour of the sand on the coast. Rauðasandur is one of the most spectactular sites in Iceland – many would say it is Iceland’s best kept secret – surrounded by magnificent landscape on both sides, red coloured sand beautiful settings of black cliffs and turquoise blue ocean. A truly breathtaking location for seal watching. Our local guide will take you to a natural colony of wild seals, often seen at a close range, on locations known to locals. During the summer more than 100 seals take advantage of the sun at Rauðasandur, lying on the sand sunbathing and resting on the beach. In early spring mothers lie on the sand with their newly born baby seals. Later in the summer you can watch as the pups take their first steps to adulthood. A local farmer will take us on a tractor carriage down on the sand towards the seal colony – truly an adventure trip. We get close to the seal colony, but not too close in order not to disturb these playful and curious animals. Seals are naturally curious and you can expect to get some excellent pictures of these beautiful animals in picturesque landscape. This is an experience that you don‘t want to miss out. Book now to ensure your spot. The tour starts and ends at the Westfjords Adventures office in Patreksfjörður. Transportation included in prices. Price: 6.900 ISK, 4.500 ISK for children 6 – 12 years old. Tips: Warm outdoor clothing and comfortable walking shoes recommended. 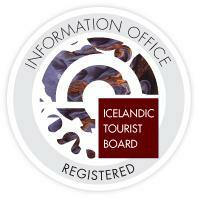 Click here to view more tours in the Westfjords. Good shoes and warm clothing recommended.